The Angling Trust has made huge progress since its formation in 2009 and in 2013 it was successful in securing Sport England funding for its Whole Sport Plan. The main focus of this funding was to increase levels of participation with current angling participants aged 26 and over. 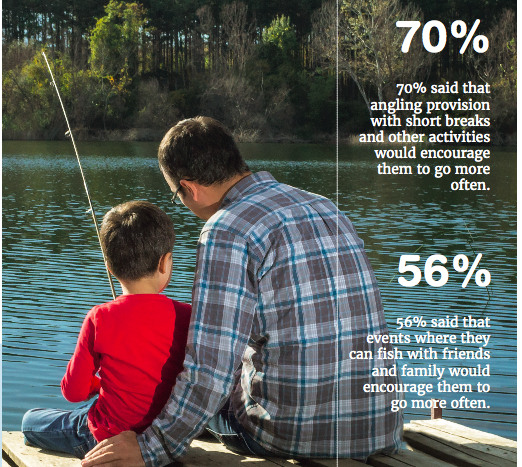 Building on this success in 2015, the National Governing Body commissioned Substance to conduct a study into angling participation, seeking to understand how more non-anglers could be encouraged to participate in the sport. Provide insight into the core and potential core angling market to inform ongoing marketing and participation development strategies including: the audience size of current, lapsed and potential new anglers; the characteristics of each of those audience segments; the behaviours of those audience segments; and the potential of converting those segments to Angling Trust members. To provide specific data on each segment in terms of: Demographic profile; Participation rates; Social behaviours and habits that might affect angling participation; Participation behaviour (in angling and other activities); Potential successful marketing approaches. The project built on the work Substance had developed with the Angling Trust and other angling organisations in the UK over a number of years. We conducted a series of surveys aimed at gaining market insight and collected responses from over 12,000 people. Survey data was supplemented by in-depth interviews and focus group, enabling the research team to deep dive on key topics and expand the insight data available to the Angling Trust.